Without completing any paperwork, without requiring the assistance or the permission of anyone, without knowing how to code, in a legally compliant manner and for the total cost of $0.50, an Initial Exchange Offering (IEO) – from token creation to exchange listing – has been completed in about ten minutes. The process begins by copy pasting the token template code from the “official” source. That’s it. 159 lines of code. It should be bug free, but we do hopefully have Solidity experts that read these pages, so if anything do let us know. We copy pasted that code into Remix to compile it, which is basically turning it into a language of random numbers and letters that computers understand. Compiling token smart contract, April 2019. Confirming token smart contract publication, April 2019. 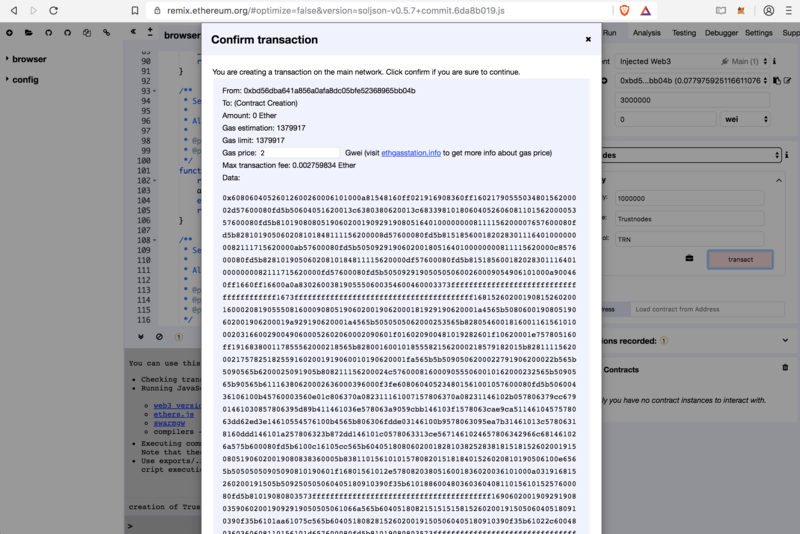 Token smart contract created, April 2019. 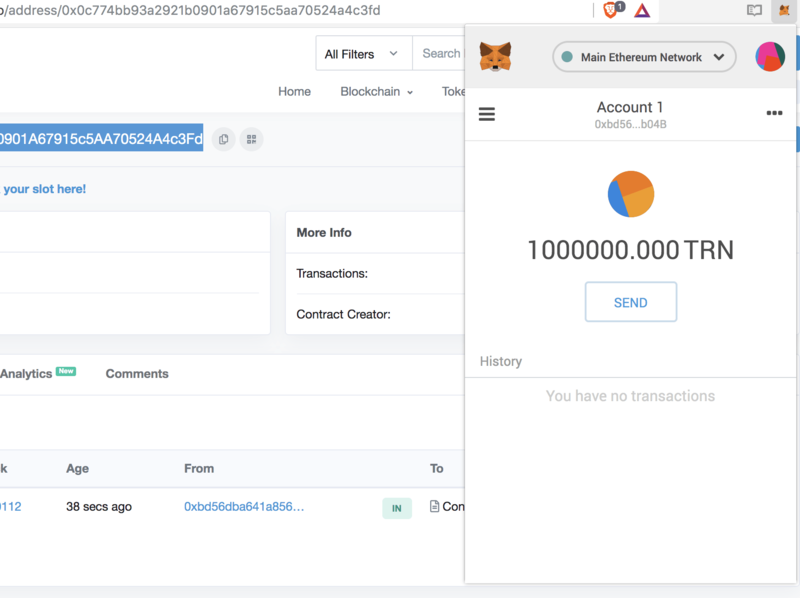 Adding a token to MetaMask, April 2019. 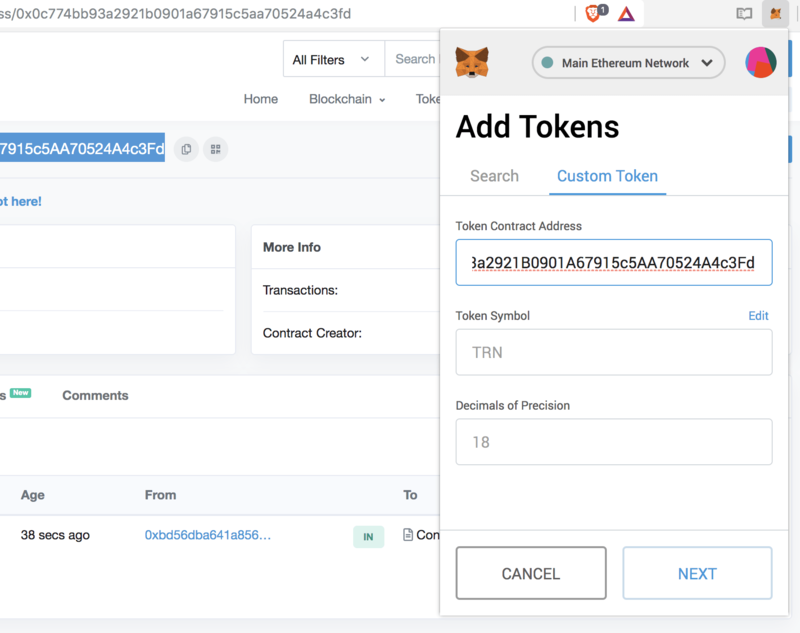 Trustnodes tokens supply and ownership confirmed on MetaMask, April 2019. Yup, it works. Balances changed. The tokens moved. It is doing exactly what it is meant to do, which is quite exciting because this wasn’t possible until very recently. So to complete the Initial Exchange Offering, we have to list it somewhere. 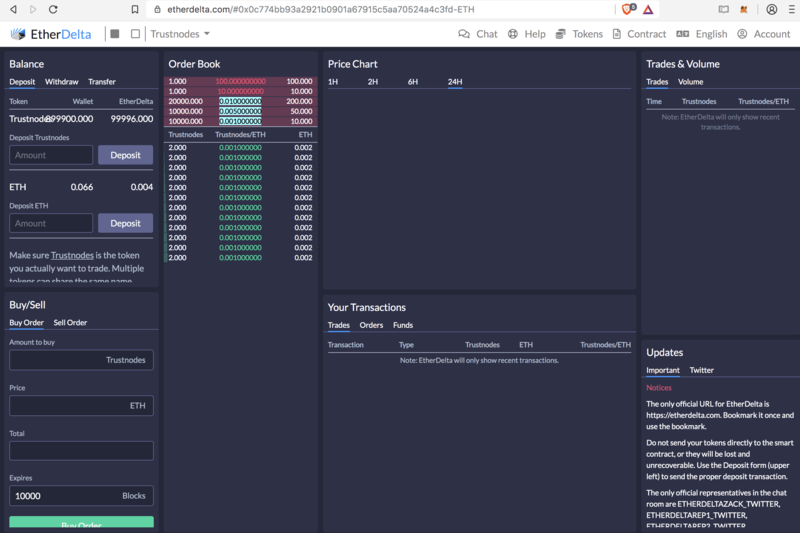 Interestingly, the decentralized exchange (dex), EtheDelta, allows anyone to list any token for trading against eth unlike some dexs which have listing criteria and so on. 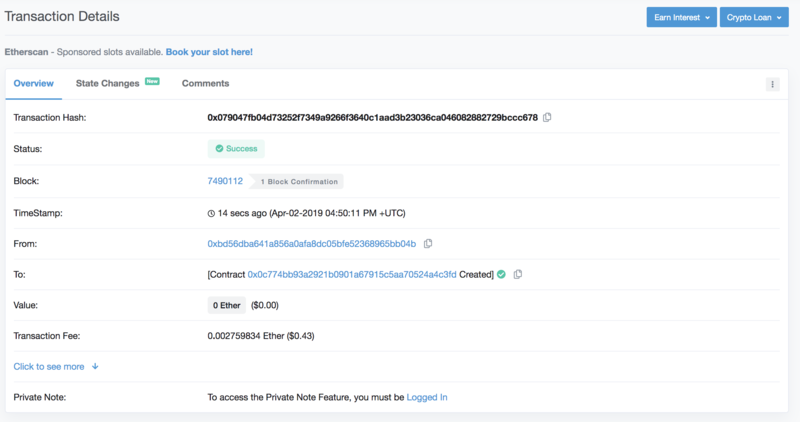 Listing token on EtherDelta, April 2019. Trustnodes token listed, April 2019. To test it all works, we had the first trade for pennies (two 0.002 eth transactions) after listing 260 eth ($43,000) worth of TRN with some joker later adding those sell orders for ◊10 and 100 eth per TRN. You’ll notice our balance is 899,900 TRN. That’s because 100 was initially transferred and 100,000 has been deposited to EtherDelta. That’s now been reduced by 4 TRN as they were sold for 0.004 eth. First Trustnodes TRN trade, April 2019. That’s that, finished. If we can do it, anyone can. All you need is MetaMask plus some eth to pay for gas and what costs millions in traditional markets can be done for 50 cent. EtherDelta is obviously not as convenient as a centralized exchange. It is somewhat slow, much does happen on-chain and it can be counterintuitive in that you have to click on the buy or sell orders, instead of entering a limit order above the buy or sell orders. It works however. It does do its basic function of allowing people to say what they are willing to buy or sell and for how much. All of it is done fairly instantly without any need for registration. So allowing us to complete the entire process without any intermediaries, without any middlemen, without paying any fee to anyone and even without speaking to anyone. You should not expect to be able to easily and quickly resell your restricted securities. In fact, you should expect to hold the securities indefinitely. There are two principal things to think about before buying restricted securities. The first is that unless you have made arrangements with the issuer to resell your restricted securities as part of a registered offering, you will need to comply with an exemption from registration to resell. By certain issuers they mean publicly traded companies obviously can’t rely on this exemption. So anyone can raise up to $1 million in any 12 months period with the buyers then unable to sell it on for 12 months. So the joker above has technically breached the law in offering TRN for sale minutes after buying them, but it’s obviously a joke. Since nothing is being promised in return for these tokens and since they don’t provide ownership in the company, arguably they don’t meet the definition of a security. SEC’s chair however happens to be a former elite bankers’ lawyer, so he says effectively they’re securities regardless, something that has not yet been challenged in court. The $1 million exemption applies in any event, and if SEC says these are securities, then arguably ownership in potential future profits can perhaps be given, but is not being promised. Such profit sharing by effectively giving dividends in a roundabout way of burning some of the supply would be one use case for these sort of tokens. 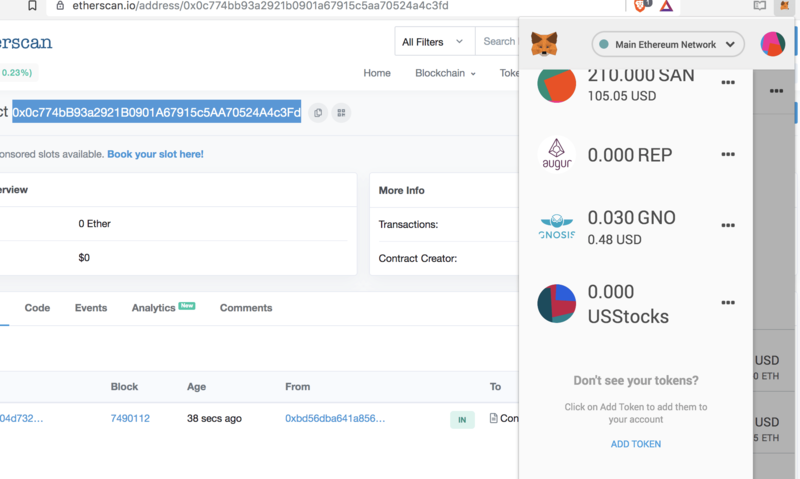 Another one in this case could be unfiltered access to Trustnodes if one has say 100 TRN. To fund its operations, Trustnodes has a subscription paywall. 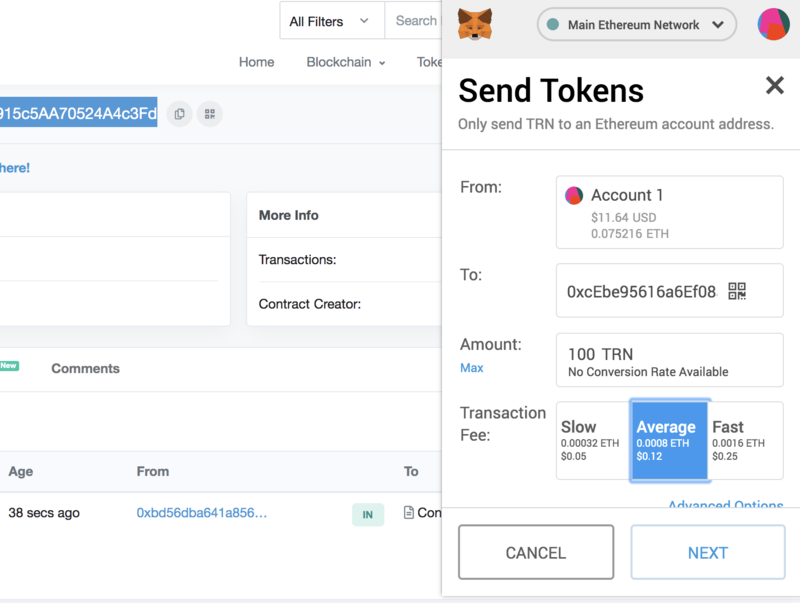 Instead of paying $5 a month, the option could be offered to log in with MetaMask which then checks if you have 100 TRN. If you do, then you don’t hit the paywall. That use case makes it very difficult to draw the line between a utility token, which is not subject to the Securities Act, and a securities offering. Obviously asking people to pay $5 a month to access our articles is not a security. Why that would be any different if it was done through a token, is not very clear. In any event, there’s the $1 million exemption. That has no restriction on advertising as far as we understand (not that we’re undertaking any), so generally this should be compliant with US laws. Europe has more lax requirements, with this probably not even considered a securities offering, but the point was to show just how easy it is and how any smart young man or woman with an entrepreneurial drive can raise capital through a process that takes about 10 minutes. So the 26 billionaires who now own as much wealth as half of the world in part because the Securities Act limits investments in start-ups to just the rich, might be facing some competition. Just as may all the intermediaries, including crypto exchanges, which require all sorts of at times huge fees to complete the above process. With decentralized finance now taking root, it can all instead be done for 50 cent from the comfort of your home for the show must go on. The revolution can not be delayed, let alone stopped.